I'm back from the Canon announcement event and suffering from a strong case of information overload. I'll have new information to share for months. 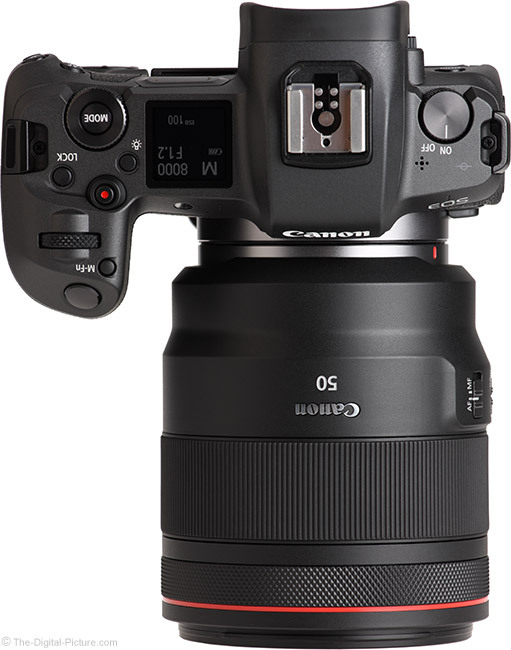 I have the Canon EOS R, the RF 24-105mm f/4L IS USM Lens, the RF 50mm f/1.2L USM Lens and an adapter for testing and have experience with this gear along with the incredible Canon RF 28-70mm f/2L USM Lens. If you need not-yet-posted information to make a purchasing decision, please email me! In this post, I'll address the Canon EOS R battery. First, I love that the Canon EOS R uses the same LP-E6N Li-ion Battery utilized by a large number of recent and current Canon EOS Cameras, including the 5D Mark IV, 5Ds R, 5Ds, 6D Mark II, 7D Mark II and 80D. This has been a great battery, in both performance, reliability and size (several fit comfortably in my pocket). Note that the older LP-E6 (no "N") is also supported by the EOS R (the "N" model has increased capacity, 1800 mAh vs. 1865 mAh). That I have accumulated a large supply of these batteries is especially useful. I love the simplicity of being able to share the LP-E6N batteries and chargers across my kit and also appreciate that I can take a single, small, direct-plug charger when traveling, even when I have multiple camera models along. That I am accumulating a large number of these chargers is also convenient for those times I need to quickly charge a large number of batteries (my family loves when I plug 6 of these in the kitchen receptacles). Battery life is a very relevant camera spec and mirrorless cameras typically have disappointingly-low battery life ratings and this one gets the same: approx. 370 shots (at 23°C). However, CIPA battery life ratings and real-world experience can differ significantly and that is especially true with my EOS R experience to date. My first fully-charged LP-E6N battery provided 1510 images with 3% battery charge remaining. That is a very impressive number for any camera, though many short high-speed frame rate bursts surely aided that experience. Still impressive was the second full charge delivering over 1100 images with 9% remainging for an expected life of well over 1300 images. Again, some short bursts were captured, but many slow and carefully-aligned landscape images were also captured. The third charge yielded 560 images at 17% battery life remaining for an expected life of approximately 670 images. This set of images was captured in higher battery drain situations that including waiting for the perfect moments to occur at a low light event. I'm very pleased with all of these results. Those are numbers I can easily live with. Note that scenarios generating a high number of images tend to incorporate high frame rate shooting which results in a correspondingly higher number of images per fully charged battery. The EOS R provides a 6-level battery indicator on the top LCD and a specific percent remaining value in the Battery Information menu. This menu also provides a shutter count and a recharge performance rating for the installed battery.